There is a great mystery surrounding the emergence and subsequent promotion of “lean production,” the generic name given to Toyota’s production system, beginning in 1988. It is the absence of “Respect for People” for nearly 20 years. “Respect for People” was long part of the Toyota Production System (TPS). So why wasn’t it part of lean production? While James P. Womack (Lean Enterprise Institute) and Daniel T. Jones (Lean Enterprise Academy) were the principals leading efforts to promote Lean, other organizations, such as the AME and the Shingo Institute, also did not recognize “Respect for People” as a requirement for the practice of Toyota-like progressive management. Many others missed it as well, both academics and practitioners – though there were some notable exceptions. In my own work beginning in 1994, I found the need to respect people as obvious almost from the start, in part by simply recognizing that workers will not participate in kaizen if it costs them their job. Also, sensei from Shingijutsu taught us, on day 1, the importance of respecting people because workers are the wellspring of ideas and action. My understanding of “Respect for People” has evolved greatly over time and has been central to my work and to my understanding of continuous improvement and flow. And I soon recognized the need for a different approach to leadership, one that respected people and which results in improved creativity and information flow. You can read about that here (click here to read a more comprehensive explanation of what it means to lead with respect). Remarkably, “Lean leadership” did not become a specific item of interest within the Lean community until 2007. James Womack spent time with Shingijutsu sensei in the early 1990s and should have learned about “Respect for People.” He should also have learned this from the research that he did for the books The Machine that Changed the World and Lean Thinking – specifically, the 1983 book Toyota Production System by Yasuhiro Monden and numerous other sources, including workers, sensei, and executives at NUMMI and Toyota, as well as sources dating back to the earliest days of industrial engineering upon which TPS is based (see paper by Morris Cooke and book by Lillian Gilbreth). Both Womack and Jones should have learned about “Respect for People” from their MIT research associate John Krafcik, a former NUMMI employee and who coined the term “lean,” and a few years later from their close colleague John Shook, a Toyota and NUMMI veteran. But, apparently, they did not. In my research papers and in my books, and also on my blog (1, 2, 3, 4, 5, 6, 7), I have written extensively on how information about “Respect for People” has long been in existence, from ex-Toyota sensei, in numerous books, in a noteworthy journal paper, in dozens of speeches by Toyota leaders, and other sources. Most recently, I shared a 1991 document from a NUMMI employee (here) that showed the contrast between GM and Toyota beliefs and values, and which highlighted the importance of “Respect for People.” Again, the information, in one form or another, has long been in existence. One wonders if “Respect for People” had been recognized and presented explicitly at the start, in 1988, would the spread of Lean and its impact on employees, suppliers, and other stakeholders have been more favorable. Meaning, less damaging to employees (layoffs) and suppliers (price squeeze), and more favorable to investors (higher returns) and communities (continued presence and growth). TPS must be mutually beneficial and do no harm to stakeholders. Unfortunately, the same cannot be said of Lean. * The important relationships, shown in the image at right, remain largely unknown. Maybe they owe the Lean community an apology as well. I think part of the challenge in recognizing the “Respect for People” is that it is not always well documented or understood, even by the Japanese, and therefore difficult to see and understand. You have frequently cited “Toyota Production System” by Yasuhiro Monden, yet he only mentions “respect for humanity” in a bullet point on pg. 2. That’s it. I don’t see a chapter or more devoted to that principle. According to Mike Rother, it took him several years to understand exactly how Toyota molds its employees’ minds to think scientifically and to solve problems methodically. Developing people to their fullest capability is the ultimate form of respect. The emergence of Six Sigma on the scene didn’t help matters either, when many simply viewed (and taught) Lean as another set of tools to be merged with Six Sigma. A recent debate on LinkedIn demonstrated the ridiculous notion that Lean as a simple set of tools to be applied to certain problems. That belief, unfortunately, is still alive and taught today. Hi Jason – Thank you for your comment. Monden’s book is one of many, many available sources where “Respect for People” and its earlier forms were discussed, often at length, and shown to be of great importance. It is, in fact, well documented, though perhaps not well understood because of its wide-ranging application and impacts. 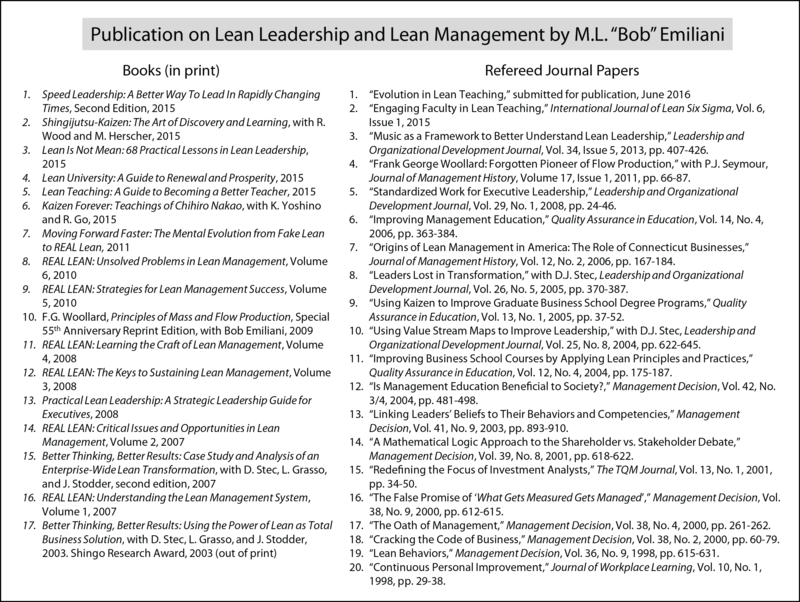 The specific citations are contained in my REAL LEAN book series and various journal papers that I’ve written (and in many blog posts). Admittedly, it does take some people a long time to understand how “Respect for People” functions in practice. And some seem to never see it, or admit its existence, even when it is made explicit. Reduction of Lean to tools will be ever-present because there is a far larger market for than there is for a new management system. Did Monden and others from Toyota not think to spend more time describing “respect for people” for reasons similar to a fish not knowing it’s in water? Based on what I know, I believe you are correct. But the “water” in this case is kaizen – specifically, Toyota’s kaizen method. From all the things I have read, it seems they (the elder Toyota leaders) took a simple, logical approach to understanding what people (especially employees, but also suppliers) respond to (respect, development of capabilities) and what they do not respond to (disrespect, degradation of capabilities). It seems likely that they must have been influenced by cases where the Taylor system failed (due to management misunderstanding and misapplication), and Lillian Gilbreth’s insightful work on the nexus of Scientific Management and human psychology. Thanks for your comment Steve. It’s akin to music in the following way: People think they understand it, but the only way to really understand it is to lean how to play music. Getting one’s hands greatly dirty deepens one’s understanding. It is true we have to teach “Respect for People,” but training courses are nothing more than a useful introduction to a deep and substantive subject. Can you post those specific examples of pre-2000 published works (books, journal articles etc.) that do a deep study on “Respect for People”…I would love to read them for myself. What they want. (The best P, S, and E available in your industry. Products, services and experiences). There are three main activity goal areas in TPS to achieve this. They are called the 3 R’s. Only the first one is used as a central theme in Lean Thinking. The first ‘R’ is Resources. The second ‘R’ has been largely missed by the lean movement. This is Resourcefulness. The goal in this area is to release the ‘Resourcefulness’ (talent, creativity and enthusiasm) of all our people to achieve the first three goals. This ability must also drive the waste elimination and continuous improvement process throughout your organisation and down through your supply chain. A key rule in this area is; sustain the gains, maintain the change. Anyone who understands TPS will tell you the second and third R’s are central to its success. They are missing from too many lean programmes and are the reason for many of their failures. Hi Sid – Thank you very much for your thoughtful and informative post! I’m afraid “respect for people” would have fallen on deaf ears, just as it sort of does today. Executives don’t see “the problem” as a lack of respect, it seems. Too many of them seem to want to “fix” the employees instead of really working on the system that they are responsible for. Dr. Deming preached respect for people in his own way (and he was a strong influence on Toyota), yet he has mostly ignored by the business community. I think if there is one thing we have learned all these years, it is that leaders either ignore RP or they think they do well-enough. Consequently, they fail to comprehend the depth of its meaning and how powerful it can be. Deming was an astute observer and his insights and advice were totally on-target. I think his work, and others, is nearly always eclipsed by leader’s reverence to classical and neo-classical economics. See https://bobemiliani.com/how-economics-disrespects-people/. While the problems are multivariate, I think economics stands out as the biggest by far. Interestingly, Dan Jones is an economist, and he has failed to even approach this issue. And you think asserting these accusations toward well-meaning people who saw what they saw at the time they saw it and have later acknowledged that they didn’t see anything (and who would?) is respectful? I think some reflection is in order. Hi Karen – Thank you for your comment. This blog post, along with many others that I have written, follows the construct: Go See, Ask Why, Show Respect. • Go See – Carefully observe what is happening on the genba for making and selling Lean (purpose, process, people). 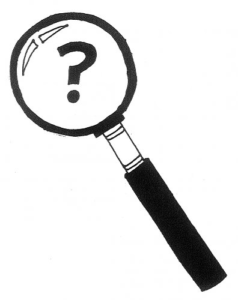 • Ask Why – Understand and analyze the process (mostly problem view, sometimes kaizen view). • Show Respect – To the workers (“owners of Lean”), challenge (“to be the best that we can be”) via fact-based analysis, and therefore respect to the customers of Lean. Quoting John Shook: “Most of all, respect means doing what we can to make things better for workers, which starts by not making things worse.” My sentiment, exactly. Reflection, I can assure you, is an important part of my process in writing blog posts that critically analyze activities and events. I do not write these posts glibly or with malice. My writing is both serious and sincere. Only if you ignore the evidence, Bill. I too found Mr. Emiliani’s comment disrespectful towards Womack and Jones. These gentlemen were pioneers and to ask them for an apology is to assume they had malice of intent with their translations of Lean. Isn’t the whole foundation of continuous improvement to build on what we know? Doesn’t RP include allowing people to try things, and if less than perfect, to continue improving? Should we trash anyone for not achieving perfection at the onset, or would it be more appropriate to take what they achieved and build on it? I am surely not assuming malice of intent, and I did not, and do not, expect “achieving perfection at the onset.” I did not “trash” Womack and Jones. What I did was criticize their work, based on the facts. I did not criticize them personally. I merely pointed out that Womack and Jones’s work clearly shows that they missed RP for more than 20 years. As leaders of a movement that affects people’s lives and livelihoods, they have a great responsibility to get it right sooner rather than later – especially when the information was readily available from numerous sources. I did not ask them for an apology. I said: “Maybe they owe the Lean community an apology…” People readily apologize for insignificant things, such as not holding a door open or unknowingly standing in someone’s way. It is reasonable for Womack and Jones to consider formally apologizing to their customers for promoting and selling a defective product. Whether they knew it or not is immaterial. The “Respect for People” was learned at Toyota through the TWI Job Relations skills and became part of the expected habits of a leader. I would suggest to any lean expert or leader who interacts with people to get a copy of the Job Relations pocket card…this is a checklist that you can easily follow to improve your interactions with people. I will have to second Karen’s observations about the early observers… they wrote about what they thought they saw and interpreted it to their own experiences. Peter Drucker wrote in “The Practice of Management” that is was the leader’s responsibility to provide the worker with useful work. Drucker was ignored just a Deming was later on about management’s responsibility towards those that do the work. Hi Mark – Thanks for your comment. RP at Toyota pre-dates TWI. It is a constant theme in the writings of the old TMC and Toyota Automatic Loom Works managers. And as you point out, RP has been part of Toyota for a long time. So why was it missed for so long by those who studied it so carefully? Please look at the Appendix of Lean Thinking (second edition), p. 341 et seq., “Individuals and Organizations Who Helped.” The names Fujio Cho and Hajime Ohba stand out, as does Chihiro Nakao (of Shingijutsu), all former students of Taiichi Ohno. Cho-san being the person who brought The Toyota Way 2001 document into existence. Regarding Karen’s comment, my questions pertain to the adequacy of research method(s) used in studying Toyota, analysis of results (perhaps subject to anchoring or confirmation bias), and the evolution in thinking over the 20-year period in question, which was remarkably slow – especially given the critical importance of RP. Bob, in theory the founders of Toyota believed in respect for people. According to the director of Toyota Motor Sales (in his autobiography) as part of the strike settlement, top management agreed to bring in the TWI program to train the supervisors to treat the workers like humans. As for the research about Toyota, some have commented that they are studying a mature production system. The big gap is how did it evolve and become mature. Ohno’s interviews have him stating that he had a mature system as early as 1965. The Japanese began to notice after the Arab oil embargo of 1974. The early American and European observers started a decade later. All the lean literature is, at best, telling us how to look and behave like we have a mature production system. Takehiko Harada (Management Lessons from Taiichi Ohno) and Takahiro Fujimoto (Evolution of Manufacturing Systems at Toyota) provide illustrations that the roles of the leaders changed as the system matured. We are doing organizations a disservice when we start them with only the mature system materials. This is a learning process… one of thinking differently. Deliberate practice of the patterns shapes the behaviors and eventually becomes habits exhibited by the top leaders. Toyota makes a point of promoting from within… which is a long path of practicing the patterns… learning by doing. Hi Mark – Why “In theory”? I don’t understand that. Anyway, RP was part of the system and part of its maturation process. Therefore, it’s very important. In my view, leaders seeking Toyota-like management practice would be smart to begin with key elements of the mature system, rather than starting from scratch. Why not take advantage of other’s mistakes and their learning? I disagree that “All the lean literature is, at best, telling us how to look and behave like we have a mature production system.” Some of it, especially my work, is simply saying that both principles, CI and PR are necessary, not one or the other. Embrace that and begin one’s learning journey via deliberate daily practice. Bob, I think you are aware that several years ago AME changed our Vision statement to “A manufacturing renassaince driven by people centric leadership coupled with enterprise excellence. We (AME) also just held our fourth annual executive leadership summit on people centric leadership (primarily CEO’s). The theme of our annual conference in Dallas this October is “Purpose Driven Excellence” and has respect for people (AKA people centric leadership) threaded throughout the entire conference. Toyota recognized the powerful combination of respect for people and process excellence. AME recognizes this too and we are working relentlessly to spread that message. Hi Greg – Thanks for your comment. Yes, I am aware. Almost every organization promoting Lean has made such adjustments recently. As you may gather from my writings, others well before Toyota recognized the powerful combination of respect for people and process excellence, such as FW Taylor, Lillian Gilbreth, and Frank Woollard. And select business leaders in our own times – George Koenigsaecker, Art Byrne, and some others – have demonstrated this powerful combination. They learned from Shingijustu and Toyota, as many have. Very interesting subject! Many thanks to Bob for bringing it up and for all contributions. My experience with implementing TPS has thought me to differentiate between Toyota Way (the way to approach work with two core values: Respect for people and Kaizen mind) and Toyota Production System (the way to plan, organize, manage and improve the production). They are very much interdependent. Peoples attitude and the company’s values have essential impact on the management system effectiveness and its result sustainability. However I am not sure if it is a good idea to consider TW and TPS as one. Yes, TW and TPS are separate yet inter-dependent. In the 1977 paper by Sugimori et al, RP was clearly part of TPS. The separation of TW from TPS seems to begin to happen around 1984 when Toyota joined with GM to form NUMMI. Interesting article, I did not come across it before. Thanks! I think what is called there “respect-for-human” is the Jidoka concept. As you know, it evolved from Saakichi Toyoda’s intention to help his mother in doing her job in an easier way. Means his approach to use human intelligence to make the work safer, easier and more value adding. People’s time and life should not be wasted in non-value adding work. I have heard Japanese people to say that this is the biggest crime a company can do. I think so too. Now that here is a value and a way of thinking that has been described in the Toyota Way. Many concepts, methods and tools of TPS evolved because of TW was followed. And this is still continuing… I don’t think you can separate the one from the other… however they are different things. Bob, I think that the discussion about RP and TPS is interesting but might be another example of trying to describe what we see that is very different in the terms we understand. What I mean is that RP is what we coined to describe a feature of significant element of the entire Toyota enterprize. In the NUMMI experiment, GM tried to emulate what they saw by developing Quality Management System (QMS) around Quality Circles (Kaizen), in my opinion, an overly simplistic initiative to replicate Toyota. What I propose is that RP at Toyota starts with clearly communicating specific job tasks, expectations for quality and rate with feedback regarding performance. You might recall Toyota Loom Works developing the device that automatically shut down the loom in case of thread break was driven by both quality and the desire to show respect for the operator by not making the operator wait on the machine but the reverse.